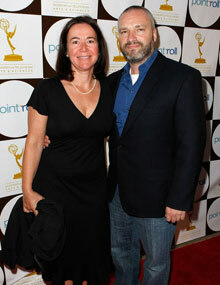 André and Maria Jacquemetton have been involved with the script since the very first episode. It was quite a surprise to me to learn that they were also behind the narrative of iconic series like Star Trek and Baywatch. “Sci-Fi is just drama with some window dressing”, to quote André’s reaction to this. When writing Star Trek, they learned how to successfully build suspense. By constructing the Klingon Dictionary for that series, they also became masters of obsessively and meticulously controlling every minor detail in their scripts. This authenticity is certainly one of the major reasons why Mad Men has won 15 Emmys and 4 Golden Globe awards in its past 4 seasons. Finally, after 13 months of disputes, the long awaited fifth season started March 25, in the US. And without intending to spoil your experience: after seeing some excerpts on Mediedager, it looks so promising again. Some new directions are clearly taken with more timeline shifting, dreaming sequences and definitely more vivid action. Again this is authentically linked to the setting of the fifth season: 1966-67. Because of the Vietnam war, things in the US and around the world back then were changing and moving actively. As André stated: “We all have this collective memory of the roaring 60s, but actually the first half was more like the 50s. It’s not until 1966 that street protests against the Vietnam war and civil right movements against racism were really taking place.” So the fifth season will certainly be different. Don Draper, lead character of the series, seems to have found his own peaceful state of mind (being freshly engaged to his secretary) but the world around him is changing rapidly. And the question is: how is Don, himself rather resistant to change, going to cope with this new environment… You’ll have to watch and find out yourself! 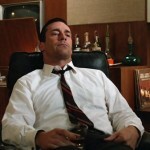 So how is a popular TV series like Mad Men actually constructed? 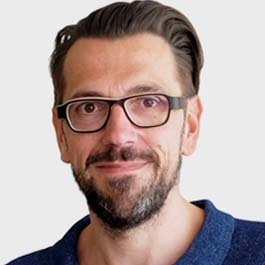 André and Maria are heading a team of 5 full-time writers, 2 consultant writers and 2 ad executives. The process starts 12 weeks before the production of a new season, when all writers come together. The team is equally composed in terms of gender and has writers aged 26 to 87. The 87 year old guy is consultant writer Frank Pierson, known from Dog Day Afternoon, Cool Hand Luke and A Star is born. The team generally has 4 episodes scripts ready when production starts. 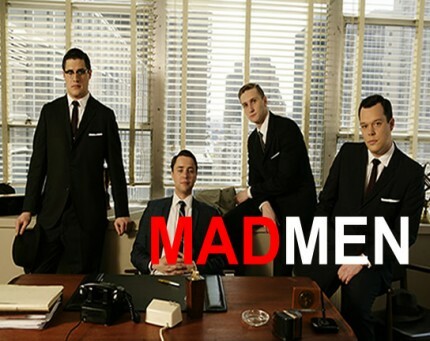 The team reads all magazines and newspapers of the era that they will use in the season and watches all relevant movies of that time to identify with the way people where living their lives as well as news facts that might be interesting to use in the script of Mad Men. They don’t tend to overuse traditional storytelling construction in the narrative but like to look at a story the way a jazz musician looks at music. They don’t have many discussions on the pace of the story – even though the slow pace is something typical for the atmosphere created in Mad Men; it is never deliberately sought after in the production. 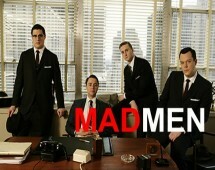 The Beatles agreed for the first time for one of their songs to be used in a TV series, for Mad Men. It was Matthew Weiner’s personal mission to achieve this. The fact that Paul McCartney is a big fan of the series certainly helped. But still, the producers had to pay 85,000 USD just to let Don Draper whistle “I want to hold your hand” and they paid 250,000 USD to let Don put on “Tomorrow never knows” (from the Beatles’ record Revolver) for his new wife Megan in this last season.